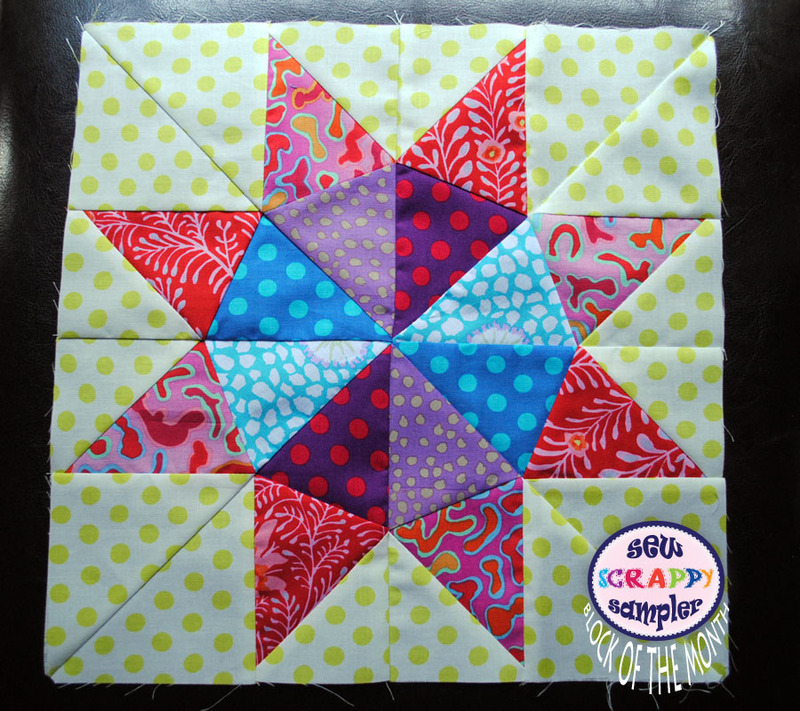 ‘Starry Eyes’ is Block 10 for the Sew Scrappy Block of the month! 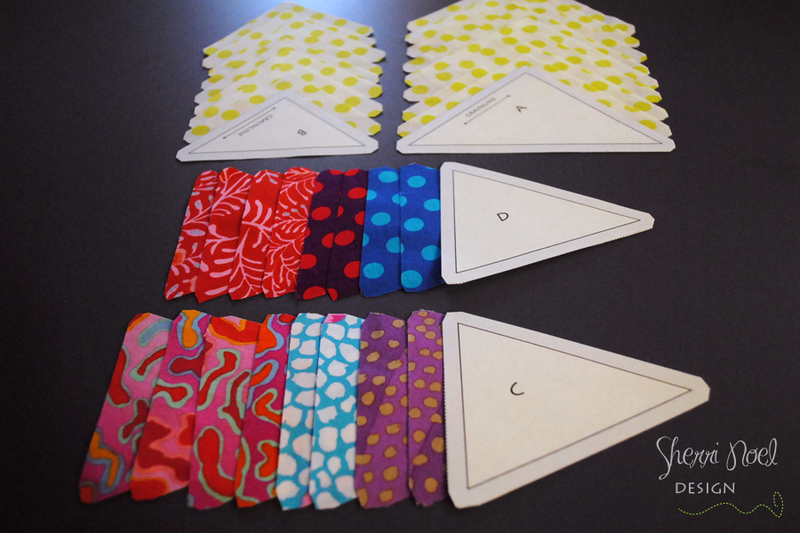 This month we are working with templates… (and lots of bias) so I would recommend pressing your fabric with Best Press before cutting. 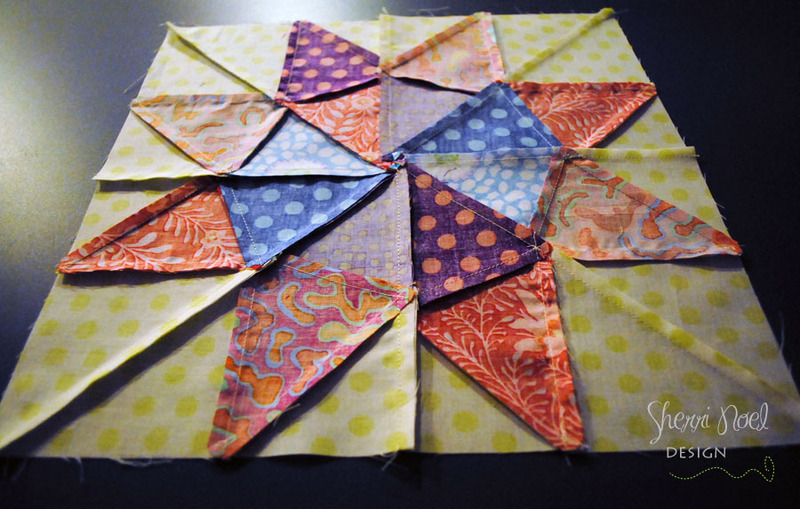 If your fabric is freshly pressed it will help with accurate cutting and piecing, especially with the bias in this block. 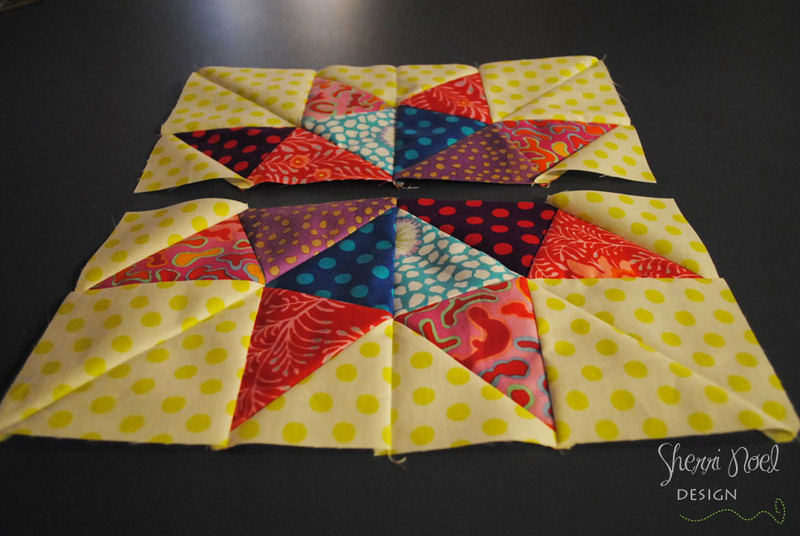 We will put this star together in sections so it’s super easy! 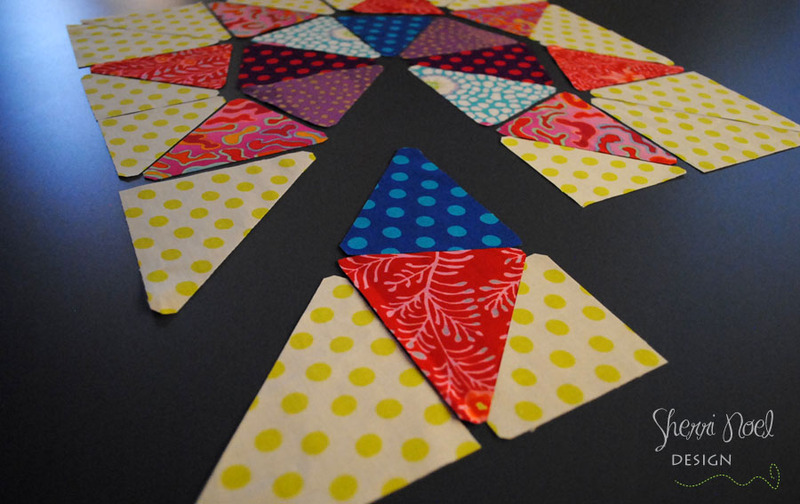 If you’re following along ~ Only finger press as you piece, don’t press with your iron till the block is complete… I have two triangle sections complete in the next picture. 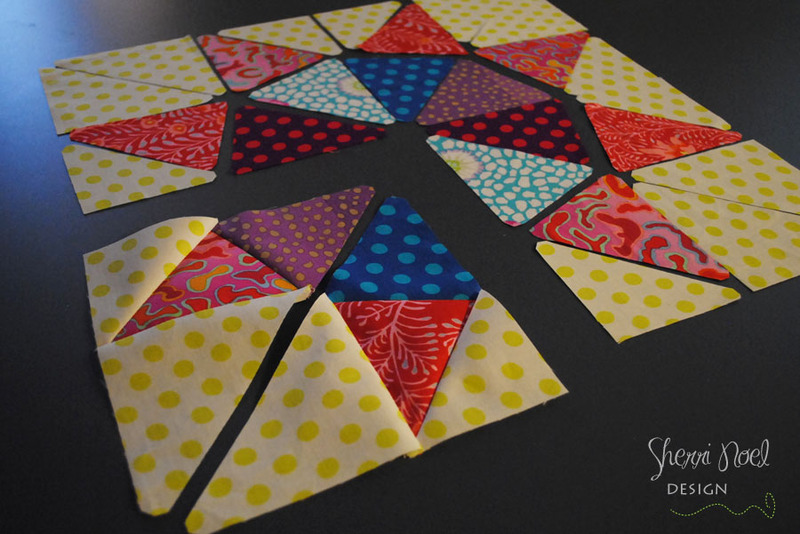 I’m going to join them and make a square, then repeat for each corner. Ok, NOW I noticed my mistake! 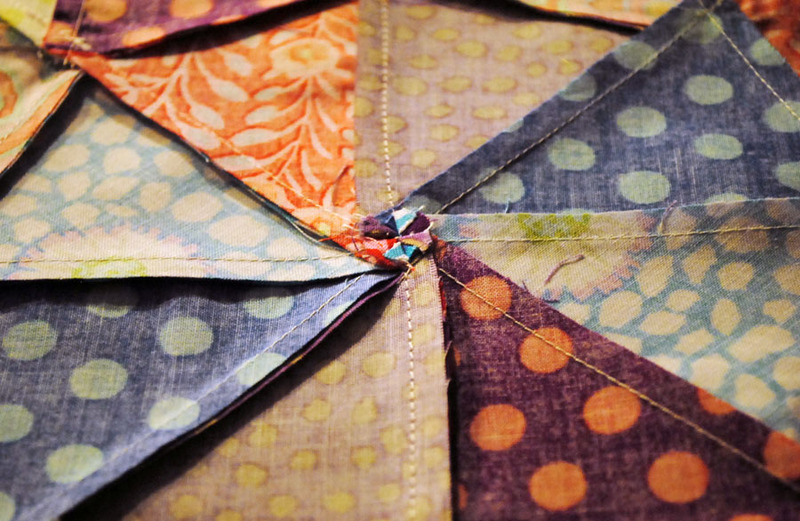 Try to carefully join your block so you don’t mix up your points – Especially on this bias filled block… BUT if you do, get out your best seam ripper (the newest sharpest one) and carefully remove the whole square section (without pulling and stretching) and rework it. 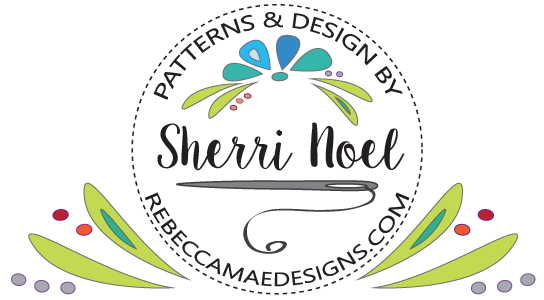 Here is the pattern in MY SHOP! 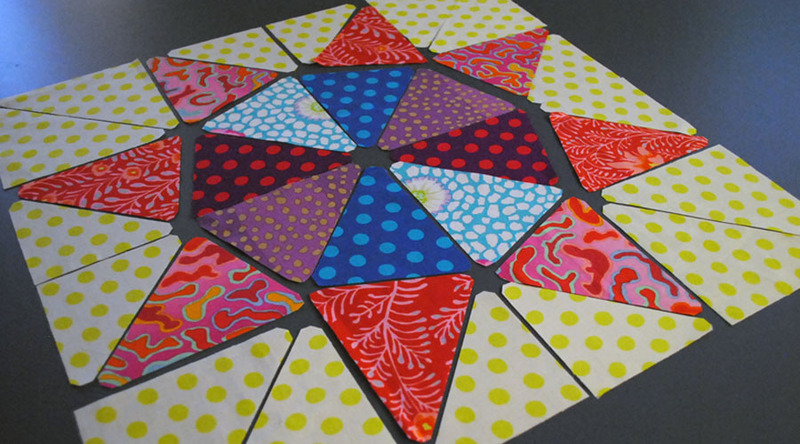 Or find it here and add it to your Craftsy Library!